finally got a chance to see these in person. gotta say, i was pretty disappointed. i’m already gaming a hybrid that pushes the limits of what i can handle size wise, and these aren’t going in the right direction. i’ll still hit it, but on aesthetics alone i am not very excited. ninja edit: silver face? what year is this?! no idea why they did that, but compared to others i found it to be close to a deal breaker unless somehow these outperform others by a long shot. Give them a swing and see what you think. I couldn’t hit the original Apex hybrids to save my life. They were too small for my eye and a bit demanding for my skill level. I came from Rogues, which are bigger and kind of expected to be in a bigger profile hybrid (especially considering how truly gawdawful my swing was during the fitting). Jailbreak definitely helps here, the hybrids are quite accessible. Now if it’s purely aesthetics then that’s another story. The good news is there are plenty of options available to you in bigger profiles (FWIW, Army and Dazedmunds both rave about their Bertha hybrids, if you want to look for bigger profile within the Callaway lineup). My initial reaction was pretty similar. 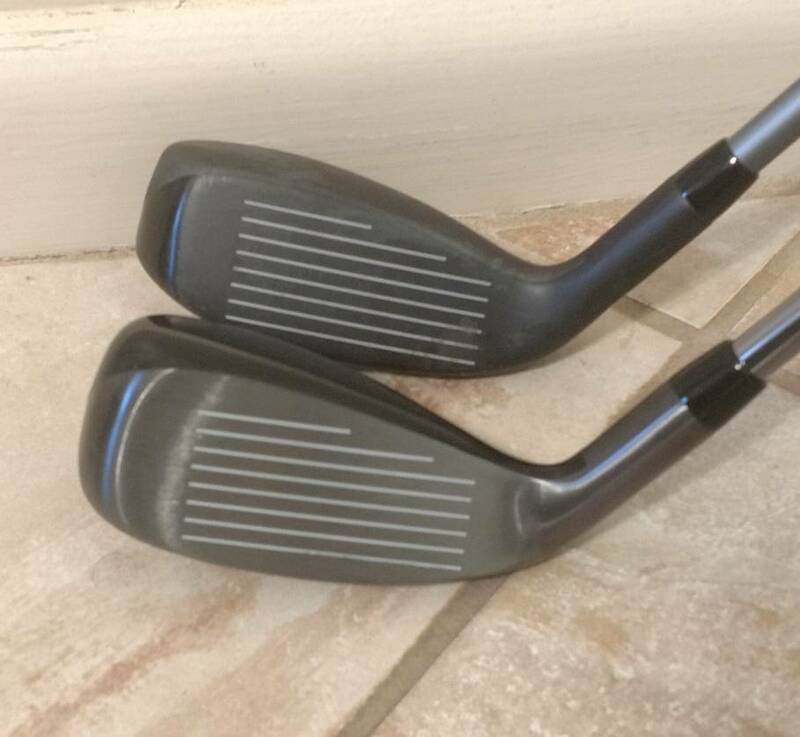 My prior hybrid was and Adams pro and it is very traditional shaped and small. The Apex in comparison was bigger with the higher squared off toe, not something I was used to looking at. I got used to looking down at the Apex real quick and also noticed quite a few strikes were out towards that squared off area. Safe to safe the club builders at Callaway built them like that for a reason. So far these hybrids have been great for me, straight and very easy to launch. 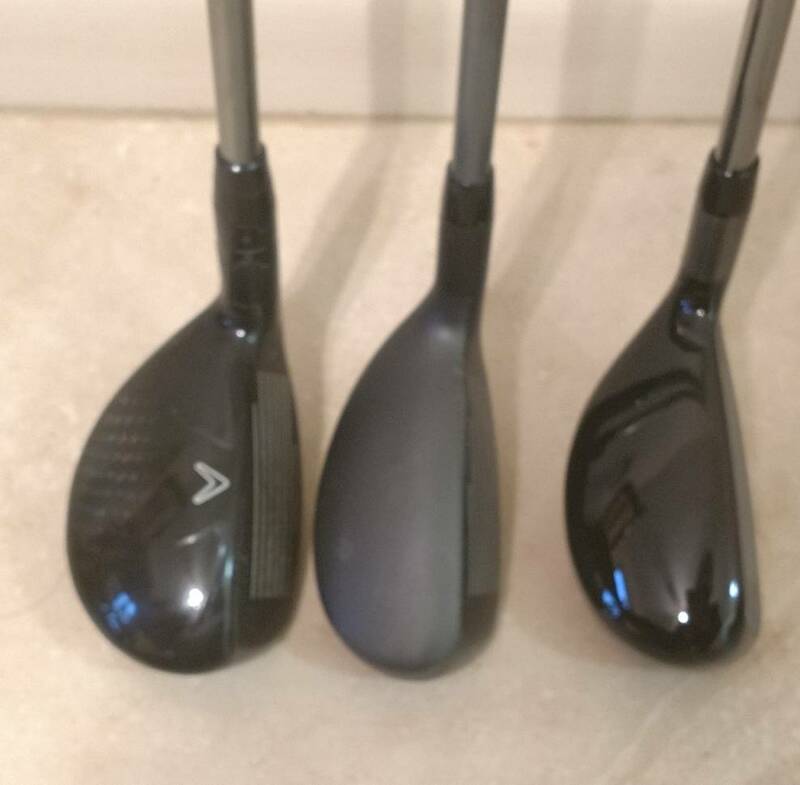 Of all the equipment I was fit into, so far the 2019 Apex hybrid has been my least favorite. 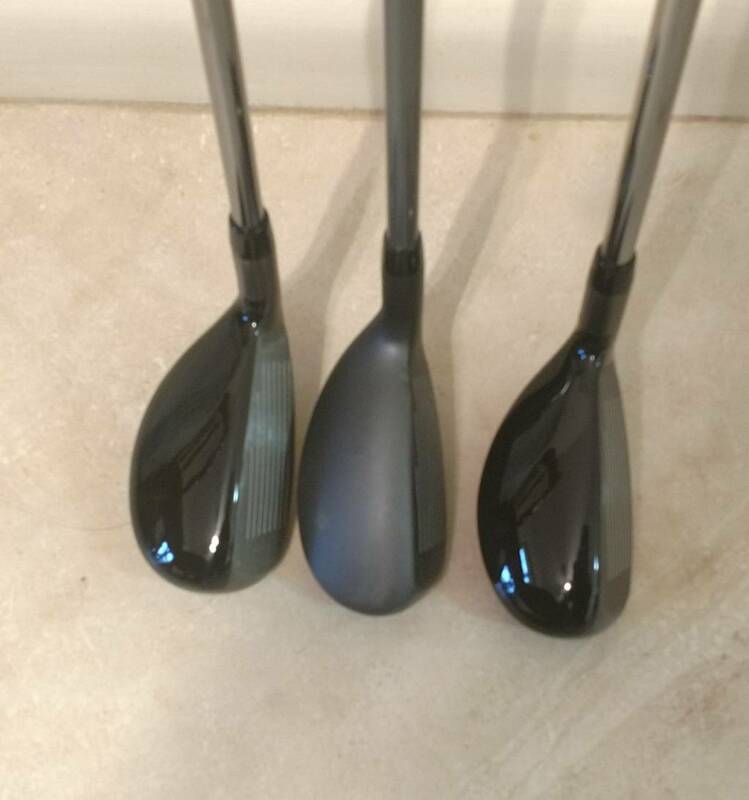 Driver, fairways, irons, wedges, putter, ball, I just can't find anything to negative about even if I were to nitpick other than the color scheme on the driver and fairway woods. Just about every hybrid I've played over the years has been draw biased, or at least seemed that way. The '19 Apex, if anything, has seemed to be fade biased or there is something about how it sets up for me that causes me to leave more than my share out the the right with a push fade. On one par 5 where this is the perfect club distance-wise to use for my 2nd shot layup I have to be really, really careful as there is a creek that crosses the fairway and that then runs down the right side with the fairway sloping that way. I've put far too many into that creek! When I do hit it well I have found the trajectory very pleasing, high and the ball just seems to carry. On those shots I have also found the distance to be very consistent. Perhaps the '19 Apex is not as forgiving as I would like or need? I've actually thought about putting my old X-Hot back in the bag or possibly look into getting a Big Bertha hybrid if I can't get this straightened out. My 4 & 5 hybrids came today. There has been talk on the size of the 19 compared to the original. From front to back the 19 is 1/8 inch longer and 3/16 of an inch taller at the toe. To my eye it looks just a tad larger than the original but not so much that it's a distraction for me. I had tried the Epic hybrid last year but I hooked it to much and it was quite a bit larger than the original as seen in the last picture. Hoping to get out tomorrow and put them through there paces. If it will quit raining. 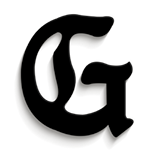 Last edited by Golfever; 01-22-2019 at 07:03 PM. I will take that fade on a hybrid! Another first swing with this today. Actually took the plastic off the head as they were putting out the demo. I enjoyed the last version, and this seemed much the same. Only difference, DISTANCE. A 3 hybrid from my bag is usually a 220-225 carry on a well it ball. First swing with this was 240, high and straight. Had several in the 230, felt great, looks great, ball didn't go left or fade to far to the right. 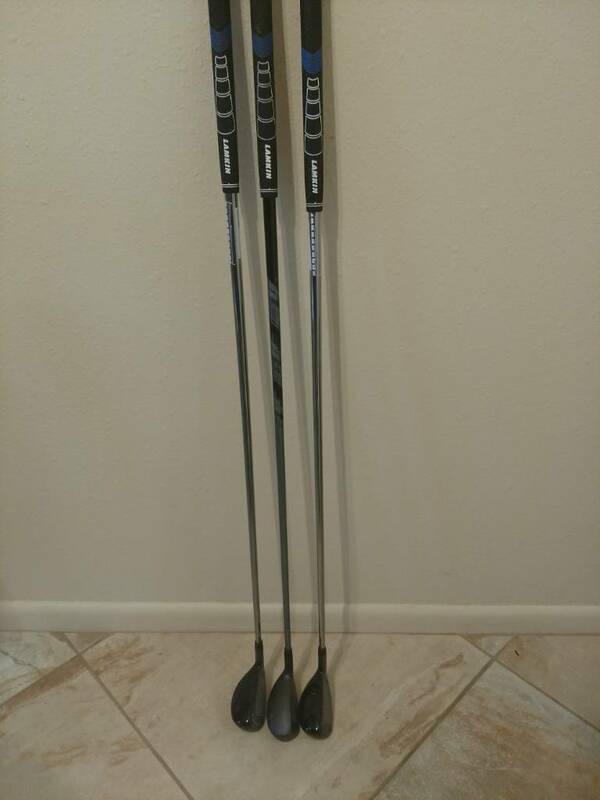 A 2 hybrid is in strong consideration to replace my 3 wood. I'll wait to compare it directly against the Ping G410 2H. I hit the 5.5 Catalyst shaft at PGASS. Anyone know if that is what they are calling regular or stiff? The 6.0 is stiff - so I believe the 5.5 is regular. This is one AWESOME hybrid. I love how it sets up and the combination of ball speed/forgiveness is impressive, given the head size. It truly may be the best hybrid i have ever hit. Anyone have a chance to get some solid launch monitor data yet? Still really curious about these, but the spin matters here for me. My lunch hours got screwed up last week and I wasn't able to get to the simulator but I'm going to shoot for tomorrow. I was hitting the 4 h on GC2. I was seeing ball speed in the 125 range, launch around 14 to 15 and spin in the mid 4,000 to as high as 5,000. Subjectively, I felt it launched extremely well. I think it would fit your swing well. The shaft in the one I was hitting was just the stock Catalyst 70 6.0. I'm not 100% sold on the 1019 Apex filling the one slot I have for a hybrid. I have hit some wonderful shots, nice trajectory, good distance, but I have also hit some that I just can't tolerate. It may just be me and the time of year, course conditions, being layered up against the cold and therefore turn restricted, or perhaps I need a little more forgiveness. I'll continue to give it a go as hopefully the weather conditions improve and will just have to see if it remains a permanent part of my setup. I noticed you carry the new cobra f9 hybrid. I am looking at a new hybrid and the f9 and the new apex is what i am considering. which one do you prefer?